Robert Pattinson broke our hearts when we spied him getting up close and personal with a blonde beauty in his new Christian Dior campaign. Now his mystery leading lady has been identified as none other than model Camille Rowe. 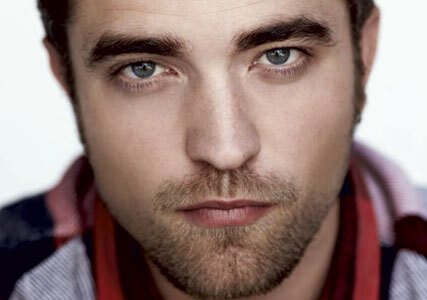 ROBERT PATTINSON FOR DIOR: STEAMY NEW SCENES REVEALED! The French model, who recently graced the cover of French Elle, has appeared in campaigns for H&M, Gap, Rag & Bone and Coach, and is currently the face of swimwear brand, Seafolly. But we think landing the role of R-Patz’ leading lady in the recently shot steamy scenes is her luckiest to date. In a sneak peek at the Christian Dior film, shots show Robert Pattinson locking lips with the blonde beauty, caressing her neck with his hands, and gazing lovingly into her eyes. Eat your heart out, Kristen Stewart. Yesterday, steamy new shots from Robert Pattinson’s anticipated Dior campaign were leaked online. The film roll, which introduces R-Patz as a ‘worldwide idol,’ and introduces him as the ‘new icon’ shows R-Patz on the red carpet smouldering for the cameras, before cutting to him gazing over the New York skyline.